Steve is Herman's son. 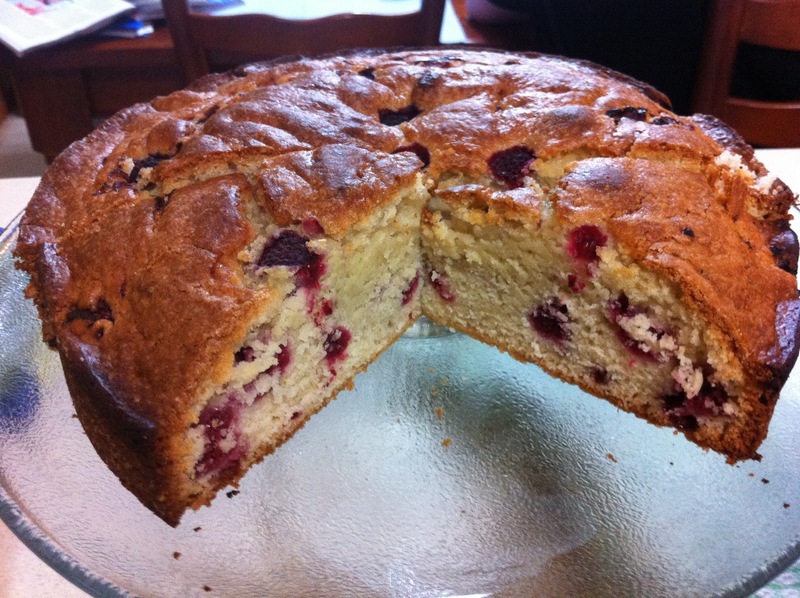 Do you remember Herman - The German Friendship Cake that i made in April. I passed 1/4 of the mixture to Karen at Shoestring and several weeks later she passed 1/4 back again. It didn't seem right to call it Herman again so it became Steve. This time I've been greedy and kept all the mix for myself and put 3/4 in the freezer. Ive been told that the sourdough cake starter will live on and when needed i defrost (at room temp), feed with plain flour, milk and sugar (1 cup of each) and start the 10 day cycle again. Steve is the Basic Recipe plus a cup of raspberries. 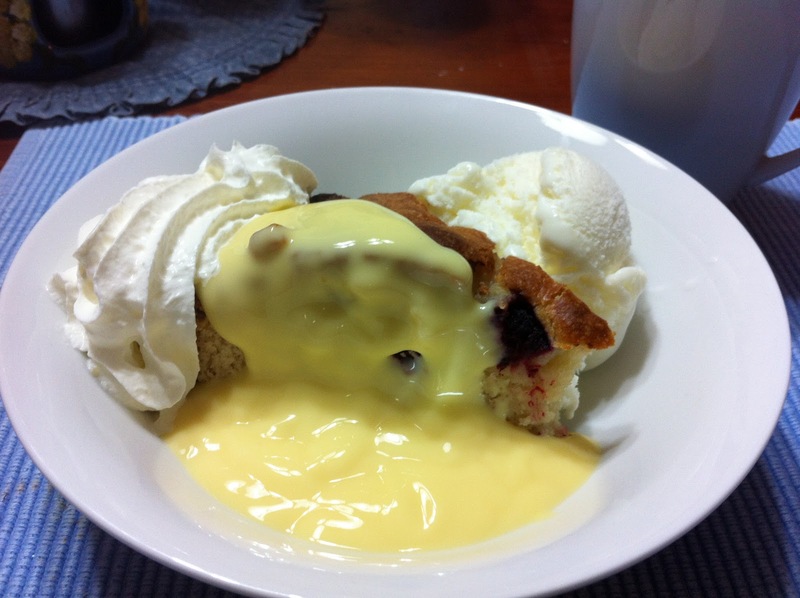 It really does make a great desert cake, one worthy of a phone call to friends to drop by at 8.30pm for tea and cake. Why so late, Ive been to a workshop today, making Feta so expect a post shortly. 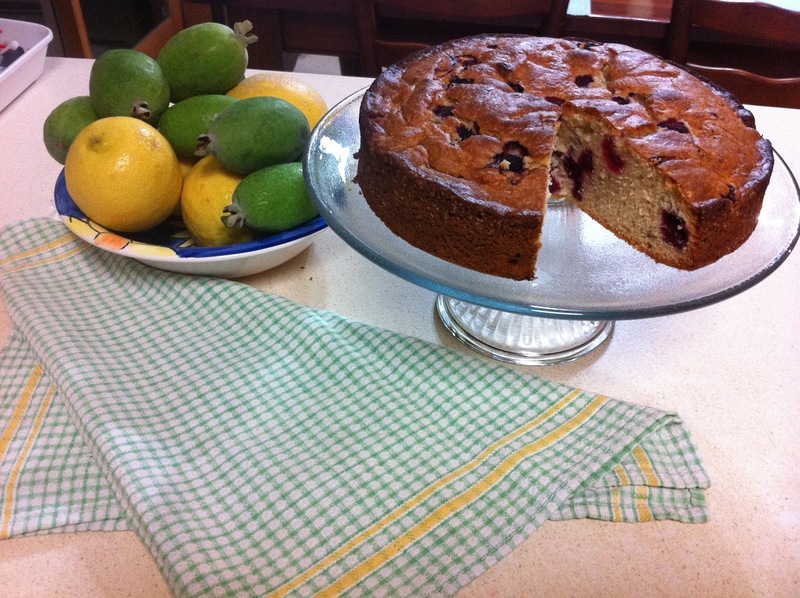 The unusual green fruit in the bowl with the lemons (gifted from Craig, the course presenter) are Pineapple Feijoa. I'm growing a bush now but mine is quite small. I'm looking forward to making a chutney or jam with this unusual fruit in the future. Nice work Steve. You make a nice looking cake. Feijoas are the best! I plan to plant one up here if it will cope with the frosts... (heads off to Dr Google to check it out now)... yep, they will SQUEEEEEE. I grew up with a feijoa tree and always thought ours was self fertile but then remembered our neighbours had one that grew ENORMOUS fruits - different cultivar I now realise.